Okay so slugs and snails can be a bit of an arse. I have tried EVERYTHING. Well, not quite everything as I don’t want to poison or kill/harm the buggers in anyway. Stupid vegan hippie I hear you stay but seriously the way I am going I may be reborn as a slug and I would like a fair innings no matter what shape or size being I become. 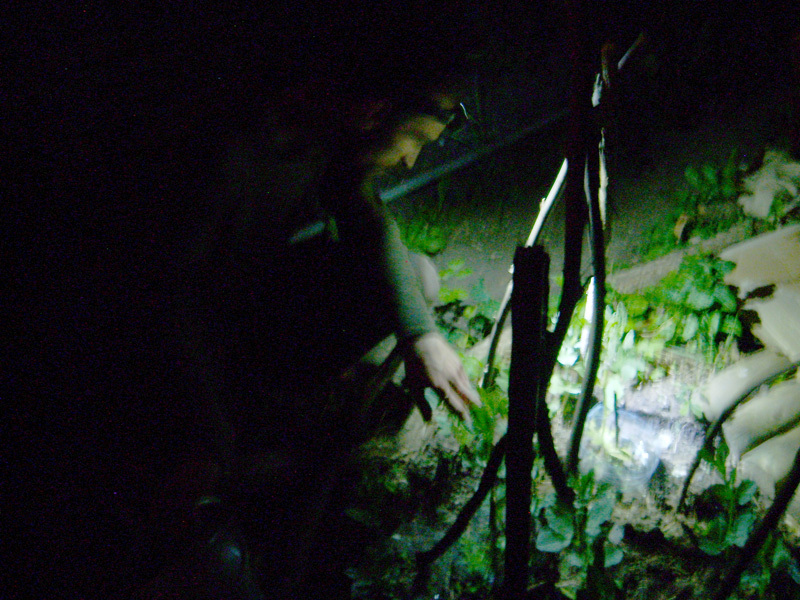 Midnight slug and snail raids with a head torch and a big plastic container to store them is the answer. I have been looking for an excuse to buy a head torch for ages. Then you take them to the nearest patch of waste or common ground and let them go… You will not believe how many of them I have ‘moved’ and it can be kinda fun playing hide and seek with them in the dark… They are quick too!